Parbatee Siewdass is Assistant Lecturer at the Faculty of Medical Sciences and the School of Nursing at the University of the West Indies in Trinidad and Tobago. With over 35 years of experience in healthcare and nursing, she is specialized in oncology nursing and public health. 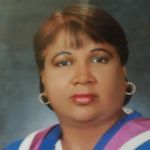 Having been an integral part of the UWI faculty for the past 11 years, Parbatee advises on academics and development, and helps to design curricula, and develop programs and faculty. Passionate about education, Parbatee chose her current field because she identified a real need for quality education in the medical and health sectors, and wanted to be a part of that change. She holds a Bachelor of Science degree in Nursing, a diploma in Health Visiting and is a Registered Nurse and Licensed Midwife. Additionally, she holds a Post Graduate Certificate University Teaching & Learning, Master of Science in Nursing Education, a diploma in General Management, and certification in Supervisory management. In 2017, she was awarded a Doctor of Nursing Practice, majoring in Educational Leadership. In addition to being a lifetime member of the WAoFP, Parbatee is an Executive Member of Sigma Tat International Chi Chapter, and belongs to the National League of Nursing, American Cancer Society, Oncology Nursing Society and the International Diabetes Federation. She credits her success to keeping on top of new research and developments in her field, and remaining committed to providing quality education and trying new strategies. Outside of her professional endeavors, Parbatee enjoys travel and is an avid reader. Worldwide Association of Female Professional VIP Member Parbateer Siewdass, DNP can be found on the Association Directory, where she is looking forward to networking with you.